Pull out your favourite pot. 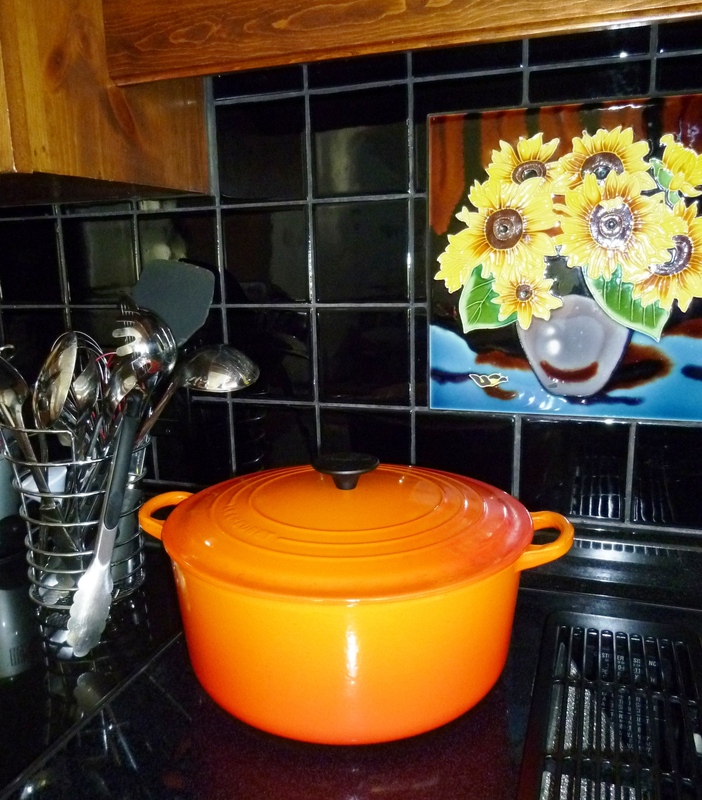 Mine is a classic, bright orange Le Creuset. First, fast fry the grudge in some hot oil, so all the juices are sealed in. Then add your choice of flavour enhancers. Gossip is a good one. Cover with rich, condensed memories to allow the grudge to simmer to perfection. Then pop the whole thing into the oven for a nice, loooooooong, slow cook. Of course, it tastes even better the next day. The flavours improve with age! 1. Admit that something occurred. Recognize that I was hurt and that there is pain. 2. I have to decide to forgive; it has to be a choice. To choose to forgive is not about a feeling. (Feelings of confusion, anger, and some hatred can still be there. It may not be pure, but it is still my choice to forgive.) When Jesus said “Love your enemies”, he didn’t say “feel good about your enemies”. He said to choose to behave in a certain way. 3. Be compassionate on yourself in the process because of the complexity and difficulty of the process. Because you choose to act and orient yourself towards forgiveness doesn’t mean it is going to be pleasurable or easy or it is going to be done soon. Pray for the grace and be open to the grace in whatever way it comes. 4. Connect with stories, myths and the scriptures with these who have forgiven before you. Connect through these stories with the men and women who have chosen a forgiveness orientation. 6. Remember the times when you have hurt others. Get out of the mode that you are the only one to have been hurt, we have also hurt others. We have also betrayed others, we have also lied, and we have also acted in darkness. This also grounds us in the scripture story of the women taught in adultery… when Jesus wrote in the dirt and caused the others to think twice before stoning her to death. Because whatever it was, it was a reflection of their own sinfulness, their own brokenness. It is always important for us in the process of forgiving others to recognize our need to been forgiven. And our imperfection and darkness and collusion has existed, that I am not a perfect person. We are called to forgive God for being God. Forgiveness is always an on-going process. To forgive is to become freer. Forgiveness is a life style not an act. Forgiveness has the potential to form us into something new. To forgive is to surrender and experience someone else anew. Forgiveness is painful because I must full accept the hurt to let it go. Forgiveness is a response to God’s grace and a conscious choice. Forgiveness touches every aspect of life; thoughts, relationships, global, environmental. By forgiveness we become more god-like. Forgiveness is more difficult when a love one creates the hurt. We are for given to the extent we can forgive. Forgiveness can take heroic courage from a sustained spiritual life. Forgiveness embraces the ultimate fragility of creation and creatures. Forgiveness demands a reflective not reactive life. Forgiveness creates new space for new life. Forgiveness is an essential ingredient for being authentically alive. Forgiveness reminds us how deeply sensitive and vulnerable we all are. We can forgive but we cannot forget otherwise we would loose the wisdom gained from life. Loving without forgiving is impossible. Forgiving is not excusing, smothering, accepting or tolerating evil. One of the truly good things about Christianity is it`s focus on forgiveness. Both these litanies hold so much wisdom. There is much to ponder along with practical advice. Forgiving is not easy, and we need all need to help and support each other in the process. Thank you so much for sharing these, Ray.